The Donegal lightweight seeks to rebound from his first UFC loss when he fights in Las Vegas on Thursday. 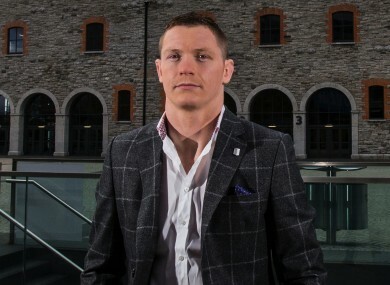 Joseph Duffy returns to UFC action this week. JOSEPH DUFFY HAS begun July 2016 in a much different position to the one he occupied at the end of the same month last year. Back then he was the latest Irish fighter to taste victory in the UFC — his submission of Ivan Jorge at UFC Fight Night 72 on 18 July, 2015 took his UFC record to 2-0, both wins having come inside the first round. He was the last man to defeat Conor McGregor, the biggest star in mixed martial arts. He had also just been announced as the headline act for a UFC event in his native Ireland, with a main-event bout against Dustin Poirier set for Dublin on 24 October. As Duffy prepares for his fourth appearance in the octagon this week, however, the landscape has changed for the 28-year-old from Donegal. His defeat to Poirier was a significant setback at the time, but with the benefit of hindsight, he’s adamant that a better Joseph Duffy has emerged from the aftermath. “Yeah, maybe I was. For one reason or another, when I went out there I felt a little bit flat,” Duffy told The42 recently when asked if he had been feeling the pressure in the Poirier fight more than he realised at the time. The pressure was understandable, given the level of expectation on his shoulders. He was fast-tracked into a high-profile slot against a vastly more experienced opponent, and while Duffy could prove before long that he belongs in that environment, it was a step too far, too soon. Now, the former Cage Warriors contender can resume his journey at a pace that suits his own objectives. “It feels like it’s been a long time out but it was a good break at the same time. It’s something I feel has definitely benefited me. I feel a lot happier and everything seems to be slotting into place,” says Duffy, ahead of his lightweight bout against Mitch Clarke on the main card at UFC Fight Night 90 at the MGM Grand in Las Vegas on Thursday night. Since his return to MMA in August 2014 from a stint as a professional boxer, Duffy’s fight against Poirier was his fifth in 17 months. A concussion he sustained a week before he was originally scheduled to face the American forced a postponement, so Duffy completed two fight camps for the contest before he eventually dropped a unanimous decision at UFC 195 back in January. Factor in his decision to move his life to Montreal last year in order to train alongside the likes of Rory MacDonald and Georges St-Pierre at Tristar, and the hectic nature of Duffy’s life over the past two years becomes evident. After racing from one challenge to the next without stopping for a breather, the downtime he’s been afforded during this six-month absence from the competitive arena has allowed him to step away, take stock and savour some of the aspects of life that are often off limits for professional athletes. “Sometimes you’re so busy jumping from fight to fight that all you’re thinking about is that next fight,” he explains. “You don’t really get a chance to enjoy it then. A bit of time out is always good. I’m a big foodie as well so I had a chance to eat what I wanted, relax and enjoy my training. His defeat to Poirier, coupled with Nate Diaz claiming ownership of the ‘Last Man To Defeat Conor McGregor’ tag, has eased the external pressure on Duffy, but that’s not to say he expects any less of himself. Another loss on Thursday would push him towards the bottom of the pecking order in the 155lbs division. The road back from there would be long. Had the result against Dustin Poirier been reversed, Duffy would have catapulted himself into the rankings and the vicinity of the title picture. Nevertheless, he’s as determined now as he’s ever been to achieve his aim of being the best lightweight in the world, but Duffy has learned that patience could be a key element in getting to that point. The example set by a man he encountered before his win 12 months ago in Glasgow helped him to realise that. At UFC 199 in Los Angeles on 4 June, Michael Bisping defied the odds by becoming the UFC middleweight champion — 10 years, 26 fights after first setting foot in the octagon. “I’m aware of my abilities and I know how far I can go,” Duffy insists. “But I’ve got to keep working hard. I know I can get to the top. I really believe that with all my heart. I’m going to keep working towards that and I believe it’s only a matter of time. “I met Michael Bisping in Scotland and he was a gentleman. I’ve been following him since I was a teenager and I’ve always been a fan because he’s always been gutsy. He’s been unlucky in his career and probably should have had a title shot a bit sooner. But it just goes to show that hard work pays off if you’ve got that mentality. “I draw inspiration from guys who have kind of gone the long way around — the likes of Bisping, [Rafael] dos Anjos, Robbie Lawler. Look at how battle-hardened they are. Email “Duffy inspired by Bisping's scenic route to the top after unscheduled setback”. Feedback on “Duffy inspired by Bisping's scenic route to the top after unscheduled setback”.